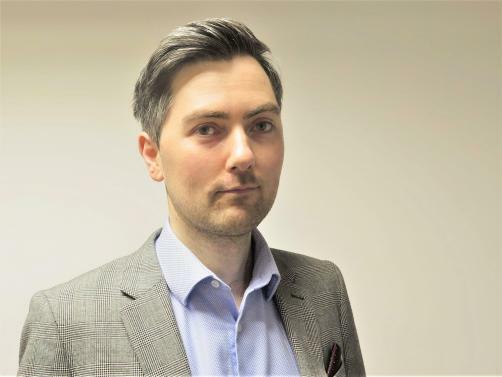 Michael Connellan, Head of External Affairs at the type 1 diabetes charity JDRF, discusses the results of a recent survey which suggests that more than three quarters of people with diabetes suffer from stress, anxiety attacks or bouts of deep depression. Meanwhile, 30% of respondents recorded battling an eating condition, while 19% admitted self-harming. Nearly half (46%) claimed their problems started after their diagnosis. More than three quarters of those with type 1 and type 2 diabetes suffer from some sort of mental health issue; why is this? At JDRF we were not surprised by the results of the survey. We think the results of the survey are illuminating and important, and we believe they need to be widely disseminated, but sadly we weren’t surprised. There’s already plenty of evidence that living with long-term chronic conditions can impact upon mental health, but when it comes to type 1 diabetes, it’s just such a relentless 24/7 condition. It’s a condition where people living with it have to inject insulin every day to stay alive. However, the monitoring of blood glucose levels is also a crucial and potentially exhausting aspect of the disease. So there’s the physical discomfort of the condition and there’s also the psychological strain associated with the societal misunderstandings of the condition. It’s a hidden condition in many ways. It’s hard to tell if someone has type 1 diabetes unless they’re immediately managing their condition in front of you. There’s so many myths and misunderstandings around the so-called ‘causes’, that see children in school and parents at school gates patronised or even bullied regarding their status of having this condition. What are some of the myths and stigma? There is no way to avoid type 1 diabetes. There’s nothing anyone could have done or should have done to avoid this condition. We don’t yet know what causes it. We know there is a strong genetic element behind it. It’s those kinds of myths that can really isolate people in terms of their lives with their condition. Parents at the school gates can be told by other parents that they must have fed their kids the wrong food. At JDRF we think blame needs to be avoided when it comes to any health condition. It’s a very, very misunderstood condition, that can lead to people feeling unfairly represented by the media, and by people around them, people in their community. That’s part of the societal impact of their condition. People with the condition, as consumers if they’re going to a gig, a live sports event, or something like that, if they’re in some work places they can find that using certain tools to manage their condition, insulin pens and that kind of thing, they can be questioned on that and blocked from having access. What can be done to minimise this? We need to ensure that the resources and community support that people with type 1 diabetes have access to are in place, and well-advertised, well-recognised, well-understood and well-invested in. That’s a crucial part. In other countries, people diagnosed with the condition can be speedily placed on education courses. In Germany for example, when you’re diagnosed, you’re speedily placed on a very intensive education course where you can learn how you can best manage your condition and that has a significant positive impact. What are the biggest challenges of JDRF’s role? The biggest challenge of our role is practically working to shape and frame the media discourse around the condition in a way that doesn’t contribute negatively to the mental health and wellbeing of those living with the condition. That’s a challenge. But in terms of more operational challenges, we want to see more funds invested into type 1 diabetes research but also we want to see a greater level of recognition for the technologies and the devices, such as continuous glucose monitors, insulin pumps etc, which can make living with this very challenging condition easier from day to day. Seeing this survey of 831 respondents, 481 of which have type 1 diabetes, and seeing those clear stats coming through, over three quarters of those people with type 1 or type 2 are complaining of stress, anxiety, or bouts of deep depression, 19% admitting self-harming. This goes to show the impact of living with type 1 diabetes and how it can often be very difficult indeed. What can be done by the pharmaceutical industry? If the pharmaceutical industry can work with us, which it does to highlight the lived experience of the condition, then I think that’s all part of the positive picture of greater collaboration between the three sectors of business, government and charity. And what can the NHS do? We’re positively encouraged by the fact that the NHS is making those moves to digitise and to harness the power of newer generations of technologies, such as continuous glucose monitors and other similar tech such as insulin pumps, which take us away from the more cumbersome daily regime of multiple daily insulin injections and finger prick blood tests, towards an approach of managing the condition, which is about harnessing available medical technologies. What should people know about type 1 diabetes? The condition can hit more or less anyone of any age. From one- or two-year-old infants to people who are much older. It was once known as juvenile diabetes. But now there’s an understanding that even in cases of people who are being diagnosed with the condition in their 50s or 60s, that can still be type 1 diabetes. For example the prime minister was diagnosed in 2013 with type 1 diabetes and I believe early on she was misdiagnosed as type 2, as so many cases of more mature adults can be. This is a condition that can strike anyone at any age, even though it’s most common to see diagnosis take place in childhood and early adulthood. And as we’ve said it’s a condition that has no known cause. We’re yet to find a cure. We will find a cure one day. It’s just a case of great funding for great research and time. There’s also the fact that it is so relentless. It is a 24/7 condition that needs to be managed during the day and during the night. It’s something that impacts on meals, it’s something that impacts on exercise, it’s something that impacts on sleep, on work. What role might technology play in improving the lives of those living with diabetes? Theresa May uses the flash glucose monitoring device, which is used to monitor people’s glucose levels. And when it comes to the support that is often lacking for people with type 1 diabetes, it is access to these newer technologies; continuous glucose monitors, insulin pumps, flash glucose monitoring. There’s not uniform provision of these newer technologies. In terms of the type of education that takes place in Germany, for example, there is some provision, some fairly patchy provision of type 1 diabetes self-management education at CCG level, but often these courses are put on at a time when the individual may be at work or the individual may need to do the school run, so access to accessible type 1 diabetes education is a real challenge. Why is there a lack of access to medical devices? The NHS moves at a certain speed. There are steps in the right direction. We’re still lobbying for and still campaigning for greater access to these newer technologies. We’re a type 1 diabetes charity; we believe that anyone who wants these newer type 1 diabetes technologies and would benefit from them should receive them. What final message do you think it would be important for our readers to hear? The results of the survey tell a fairly vivid story, and people with type 1 diabetes need more resources and a greater level of support. They can however come to the type 1 diabetes charity JDRF. We are a resource and look forward to continuing to call for greater resources and greater support for those with type 1 diabetes.